» Cheapest & Best Aircon service in Malaysia!! Cheapest & Best Aircon service in Malaysia!! Miqdad Solutions specialize in installations, repairs, and maintenance of fitted air conditioning systems and the sale/hire of portable air conditioning units. 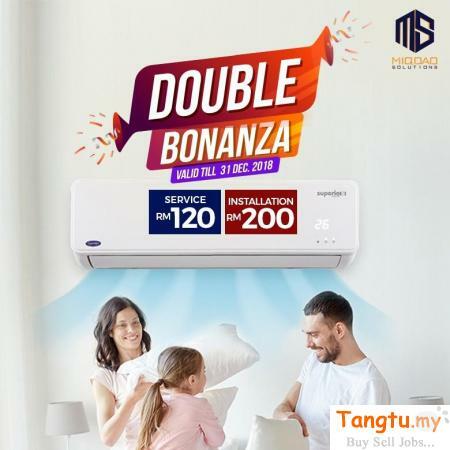 Grab Our Double Bonanza Promo Now!! Price is lowest + free gas refill. When you choose us, you are guaranteed the highest quality service. We’re always available for all of your aircon needs. Our expert surveyors will walk and talk you through all possible solutions so we can ensure that you get exactly what you need. Artificial Grass Carpet is a beautiful idea!